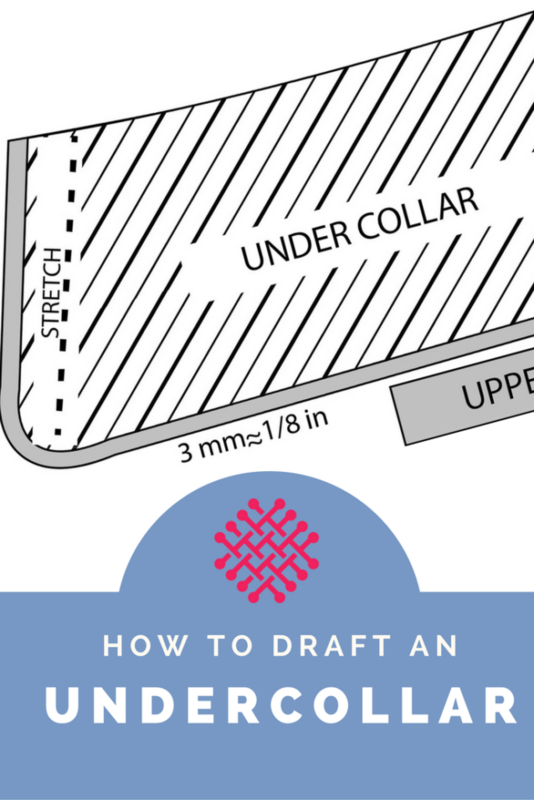 Drafting a separate uppercollar and undercollar pattern will prevent a visible seam and create a nicer looking collar. And in this tutorial I will show how it’s done. I did this jersey blouse using the same pattern piece for the undercollar and the uppercollar. As you can see the collar seam is visible, at least from the side. 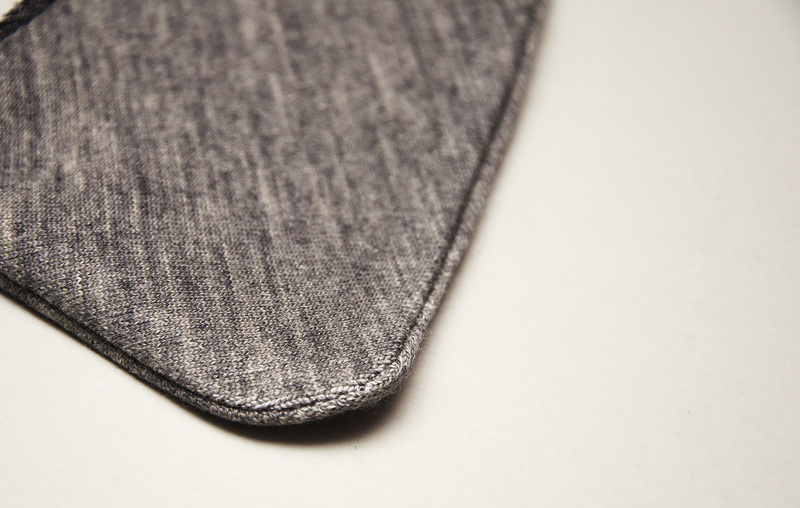 The surplus edge of the uppercollar is folded back and pressed, creating a neat finish. For this particular project I added 3 mm (approx 1/8 inches) to the front and lower side of the collar so that the undercollar pattern will be slightly smaller than the uppercollar. 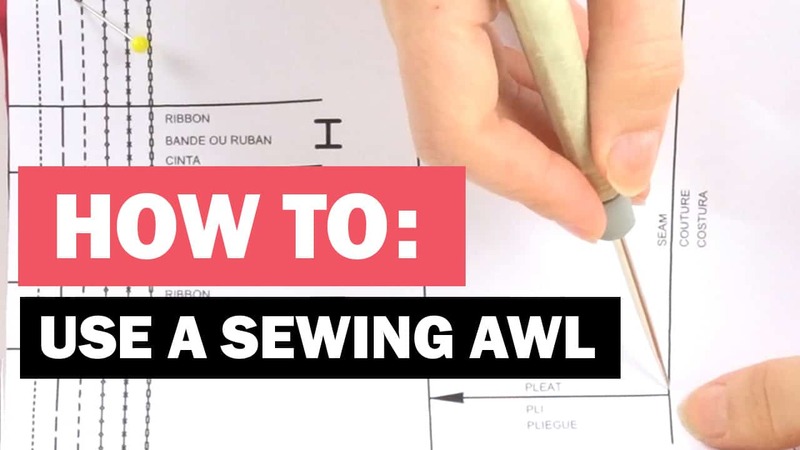 However there are many ways to achieve this, in fact when I checked my pattern drafting books they all had different formulas and measurements for drafting separate collar pieces. But for this particular project, my simple method will work fine. A rule of thumb though is that a thicker fabric needs more allowance and a thinner fabric needs less. Also I stretched the undercollar while sewing to make sure the upper sides aligned. Agreed! Adding to the upper collar or decreasing from the under collar makes all the difference. Also, I determine the turn of cloth for the specific kind of fabric I’m sewing with like so: I cut two identical sizes of the fabric, stitch them with the SA I would sew the project with, grade the seam allowances and give it a press while pushing one of the pieces just a bit under the other one so that it gets concealed beneath the top (so mock sewing and pressing with the fabric pieces just as I want my finished collar to be). 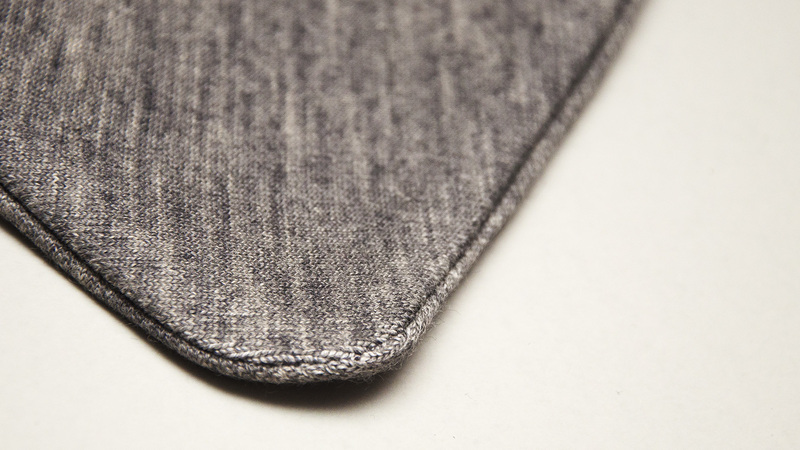 The difference between the open edges of the fabric layers gives you how much exactly the turn of cloth is. You can then just add or decrease by that amount from the collar pieces (or facings). 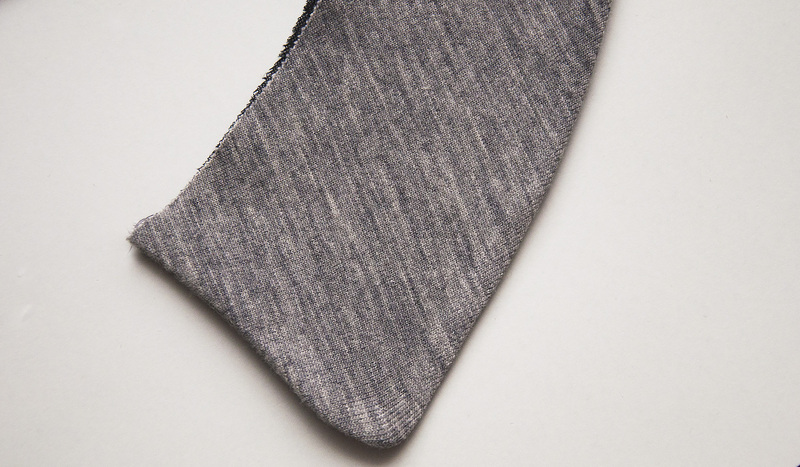 I agree that the 3mm on light and medium-weight fabrics work as a rule of thumb but the thicker the fabric gets (think coating wools), the more difficult it is to guess just by how much one should add or decrease. This sounds like a good method as well. 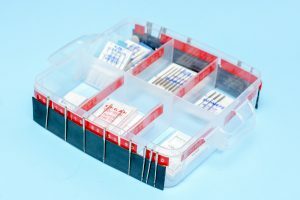 Johanna stresses the need to do test samples first, so if you’re doing a sample anyway, you’re not taking additional time to find the exact amount of turn of cloth.